We miss using a clothes dryer. We know, we know, drying our clothes on a line is much better for the environment. Here drying our clothes on a line is just how it is, but when we are in the States we enjoy putting our clothes in a dryer with a dryer sheet and pulling out a soft towel that smells cuddly or sheets that are soft and fragrant. Before we get to caught up in a poor us mentality all we have to do is look around and see how fortunate we are. We have a four rope clothes line, plus a washing machine. The neighbors who live behind us lay their clothes to dry using the barbed wire at the top of our wall and draping their clothes over the wall where there is jagged broken glass sticking up out of the cement. 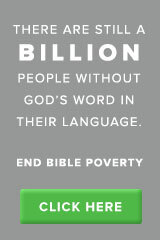 I can’t imagine how many little holes and pulls are in their clothing. Our neighbors at the end of the drive to our home lay their clothes over the top of bushes to dry their clothing. The other day we had a lot of laundry. There had been water outages and power outages, so we had laundry pile up. After filling up all our lines outside plus the standing drying rack, we still had some rugs that needed to dry. 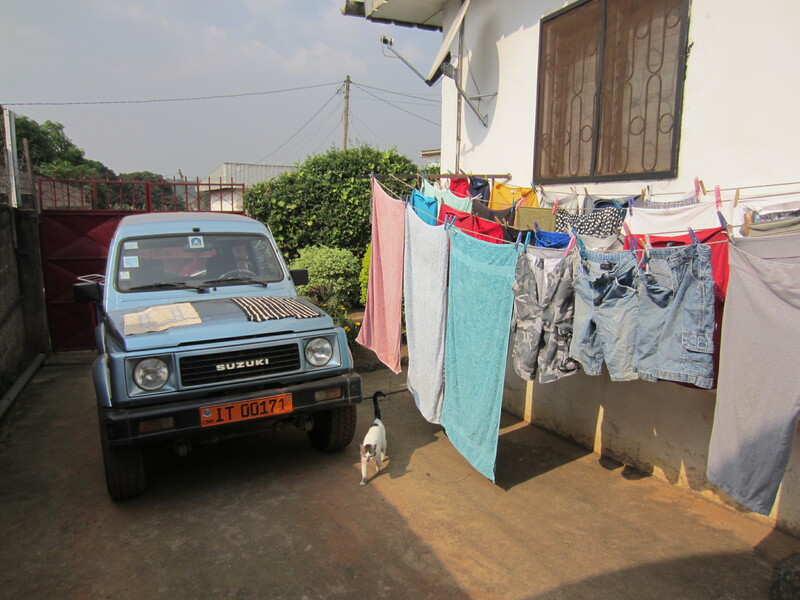 Joshua likes to help me hang laundry so I said to Joshua, I’m going to lay the rugs on the hood of the car to dry and dry them Cameroonian style. He looked at me and said, “Mom, I think your drying the clothes Cameroonian style enough by hanging them outside.” His comment made me laugh. 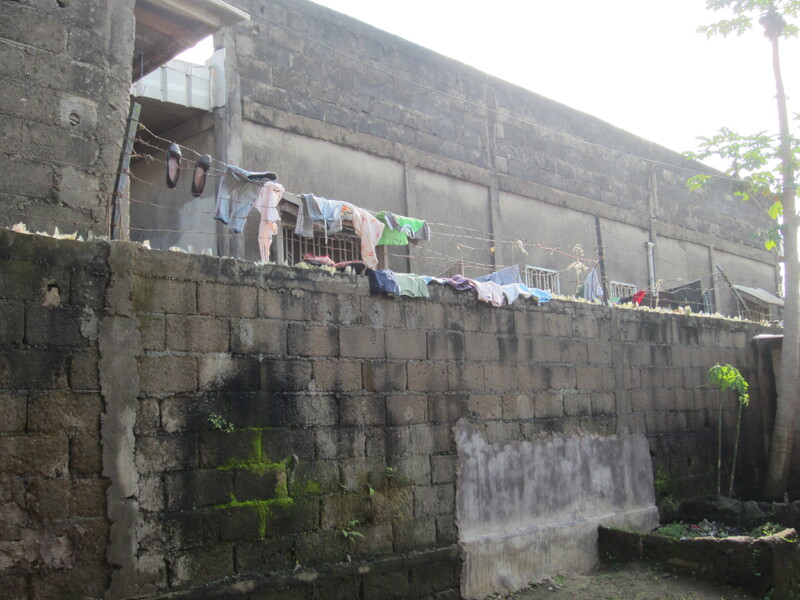 This entry was posted in Cameroon, home and tagged Cameroon, clothes dryer, clothing. Bookmark the permalink. Someone said “Necessity is the mother of invention.” I am daily amazed at your ability to make do with what you need to do. Tell Joshua next time he’s in Pennsylvania he can help pop-pop put the clothes in the drier. I love hanging my clothes out to dry but you’re right on with the towels.